When it comes to getting ready for a new baby, preparation is key. You need to baby-proof the house, check out every possible parenting book, and make certain that everything is just right for your special arrival. Most importantly, you need to prepare yourself for a flexible baby feeding schedule. I’ve been blessed to have worked with newborns for the last seven years. In that time, I’ve learned all about the uniqueness of infants and their different eating schedules. I have taken my years of knowledge and condensed them for you! The following should give a comprehensive exploration of the newborn feeding schedule. I hope it’ll help you as you guide yourself through this crucial period of development. If you’re interested in more infant knowledge, feel free to check out the rest of my blog! I love talking about mommies and infants during this special moment in time. If you find yourself wanting to capture this precious moment, contact me today. 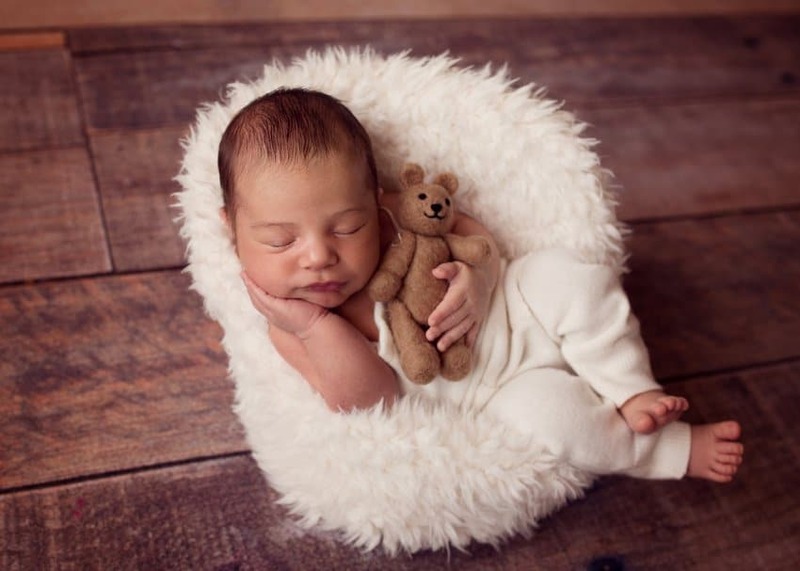 We’ll set up a photoshoot that will perfectly convey how special and unique your little one is! People’s understanding of a newborn’s feeding schedule is ever evolving. Valerie A. Fildes’ book Breasts, Bottles, and Babies: A History of Infant Feeding explores the ever-changing understanding of newborn eating periods. She explores how, for most of the 20th century, it was the general consensus that the baby feeding schedule should be highly regulated. Regimented timetables and prescribed meals dominated the mothering process. Luckily, we know much better now. The modern feeding process places an emphasis on the needs of the baby. Most importantly, it adheres to the mantra ‘baby knows best’. Plainly, your child will eat when they are hungry and stop when they are full. Your newborn feeding schedule is based entirely on whether you are bottle-feeding or breastfeeding. Although these methods are different, there is no universally agreed upon answer. It’s entirely up to you and your needs to decide which is best. If you intend to use formula for your little one, this should occur every 3-4 hours for the first month of life. During the bottle-fed baby feeding schedule, your newborn will consume about 2 to 3 ounces of formula per session. According to the American Academy of Pediatrics, your newborn should take in about 2.5 ounces for every pound of their body weight. It’s important to note that this is a guideline and not a rule. This is because, once more, baby knows best! If your little one becomes disinterested or hyperactive during a session, then they are probably finished with eating. If you intend to breastfeed your newborn, then you have a slightly different journey ahead of you. You will want to feed your baby about 8-12 times for every 24-hour period. This may seem like a lot, but it’s simply because breast milk is easily digested by little tummies. This means your baby will become satiated sooner on a smaller amount of milk. This also means that he or she is going to become hungrier much quicker! When you are counting out the times between feeding intervals, make certain that you are marking the time at the beginning of each session. This way you can let your doctor know precisely the length between nursing sessions. Even more so, you’ll be able to document your newborn feeding schedule with more regularity! For many new mothers, it’s difficult to tell when your baby is hungry. Novices would assume that crying is a sign of hunger. Yet, tears can be a signifier for a whole list of things. Maybe your little one is too hot, in need of a diaper change, or simply unstimulated! This is why it’s important to assess the situation before resorting to excess feeding. These are just a few ways to assess your babies hunger level. The best way to understand your newborn’s needs is to be cautious, conscious, and on-call! Learn your newborn’s ‘tells’ and always be on the lookout. Remember, baby knows best! Just as it’s important to know when your baby is hungry, it’s equally important to know when they are full! You never want to be in a situation where an infant is being overfed. Overeating can lead to excessive gas, vomit, and/or stomach pains. More importantly, it can create a dangerous behavioral cycle which can manifest in obesity later in life. If you are using formula for your baby feeding schedule, it’s especially important to stay vigilant against overfeeding. Using a bottle requires less muscular effort for your little one; so, it becomes easier for them to drink past completion. Thus, make certain to look for your child’s tells. If they act disinterested, fidgety, or uncomfortable, then they are ready for you to take away the food source. When it comes to the newborn feeding schedule, the most important thing to do is listen to your infant. She might not have the facility to tell you plainly, but she knows what she needs. When you pair this active listening with planned preparation, you will have truly mastered the baby feeding schedule! At the end of the day, having a child is one of the most magical journeys you can embark on. So, if you want to capture this journey, make certain to get in touch with me today! I’m always here to answer questions, address concerns, and schedule appointments. My goal is to make certain that every breathtaking moment is saved for future enjoyment. I look forward to meeting you, your little one, and the connection that you both share! To schedule a newborn photography session with Silver Bee Photography, simply drop me an email or give us a call! We’d be delighted to tell you more about our services and what we can offer your family. We hope to see you soon!